It’s official — Puerto Rico will move forward with plans to reshape its public education system through charter schools and private school vouchers, reform efforts that have proved highly controversial as the island confronts hurricane recovery efforts and a devastating financial crisis. “We’re not the same as inner city Baltimore. We don’t have the same demographic, and we might not need the same kind of programs that they would have there,” Keleher, who has been working to reform the school system since before the storm, told The 74. “I don’t think you can take it from the states and plop it down” in Puerto Rico. While Keleher was optimistic about the reforms, it already faces a legal challenge. The Asociación de Maestros de Puerto Rico, the island’s American Federation of Teachers affiliate, filed a lawsuit on Tuesday, in an effort to stop the government from adopting the charter school and voucher programs. In an interview, union president Aida Díaz argued it’s unconstitutional to use public funds to support private schools. Before Hurricane Maria, more than 350,000 students were enrolled in Puerto Rico’s public schools, but the system has faced a mass exodus as recovery efforts continue to lag, and thousands of students have enrolled in schools in Florida, Massachusetts, New York, and other states. Recently, Keleher said, some displaced students have begun to return to the island, where about 322,000 students are currently enrolled in its public schools. Puerto Rico has also been grappling with a financial crisis that’s left the island’s bankrupt government with $123 billion in debt and pension obligations. Last year, officials shuttered nearly 200 public schools, and in January, Rosselló released a fiscal plan that would close another 300 schools and cut education spending by $300 million. It’s easy to compare the situation in Puerto Rico to that of New Orleans in 2005, when Hurricane Katrina devastated the Louisiana city and almost all of its schools were converted to charters. While Keleher has herself made that comparison, she maintains Puerto Rico’s education reform efforts are more modest, and could be better equated with other choice-friendly cities in the states, like Washington, D.C. 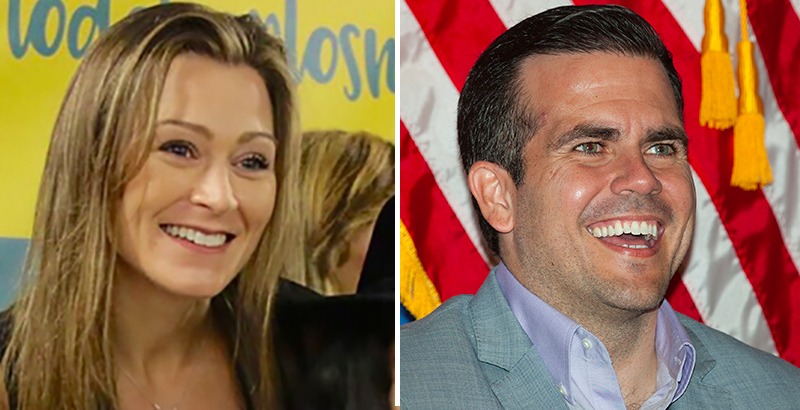 Under the new law, which Rosselló signed on Thursday, charters — referred to as “Escuelas Alianzas” — could comprise up to 10 percent of Puerto Rico’s public school system, though Keleher has said she aims to begin with 14 schools. That’s two charters in each of the island’s seven education regions which, under the new law, are given more autonomy from Puerto Rico’s unitary education department. The law also creates a per-pupil funding formula that directs greater resources to high-need students, and requires 70 percent of the Education Department budget be directed to local schools. As Puerto Rico enters the charter school space, converting existing public schools into charters could play a big role at first, Keleher said. The University of Puerto Rico has already expressed interest in authorizing charters, and Keleher said a university-operated school could be converted. As could the island’s Montessori schools, which have more autonomy than traditional public schools but are not independent of the education department. The new law also establishes a more robust school accountability system and, Keleher said, schools that fail to improve after several years could be converted to charters. Some familiar faces in education reform could also make their way to the island. Keleher said she’s reached out to KIPP, a charter management organization with more than 200 campuses across the U.S., with hopes they’d consider an expansion to Puerto Rico. In a statement, KIPP spokesman Steve Mancini acknowledged that Keleher reached out to the organization. While charter school conversions could be up and running by August for the start of the new school year, new charter authorizers likely wouldn’t be ready until the year after, following a review process Keleher said will include community input to “demystify” the schools, which rely on public funds but are run by nonprofit organizations. “We have to do this in a way that really lets people feel like there’s transparency and information and there’s no shenanigans,” she said. Although the department is moving swiftly on charter schools, the voucher program, which is capped at 3 percent of public school students, won’t kick off until the 2019-20 school year. Students become eligible for the voucher program after two years in the public school system, and the law gives priority to students with disabilities, bullying victims, and low-income students — qualifiers that encompass a majority of the island’s public school students. How that program will look remains unclear, Keleher said, since enrollment is a moving target. After undergoing hundreds of amendments, the final product is an improvement over what was proposed because they secured protections for charter school teachers, Díaz acknowledged. Specifically, she said, charters will be required to recognize the collective bargaining rights of teachers, including tenure and retirement. Charter school teachers should also receive the same salary as educators in traditional public schools, she said. Still, Díaz said, the union worries Puerto Rico’s move to charter schools could open public funds up to fraud.